Recently I was invited down to Forum Jewellers in Broadstone, Poole, to visit their store and pose with their #FrameofFame, which is part of a recurring promotion on their Instagram account, with the chance of winning a £100 gift card. I had heard of Forum Jewellers before, but hadn’t realised where they were based. Broadstone is a short drive from the centre of Poole and the Quay, and happens to be right by where my mum recently moved to. I headed over there with her and Benjamin to meet the team and take some photos, and I was really impressed by the ranges they have on offer including Les Georgettes, who I recently worked with on an Instagram campaign, their customisable bracelets are absolutely gorgeous! As a thank you for coming along and posting to social media about the giveaway, the lovely ladies at Forum Jewellers gifted me a beautiful pair of earrings, which are simple but stunning. I have worn them ever since I got them! I am really trying to support local businesses lately, as it is important in the economic climate, and I love that Forum Jewellers is family run, established in 1982, with their first store in Blandford Forum in Dorset. The Broadstone branch opened in 1998 and the company has gone on to win several prestigious awards over the years. It was lovely to visit the store and find out more about the business and its history. If you are local, I would definitely recommend a visit. 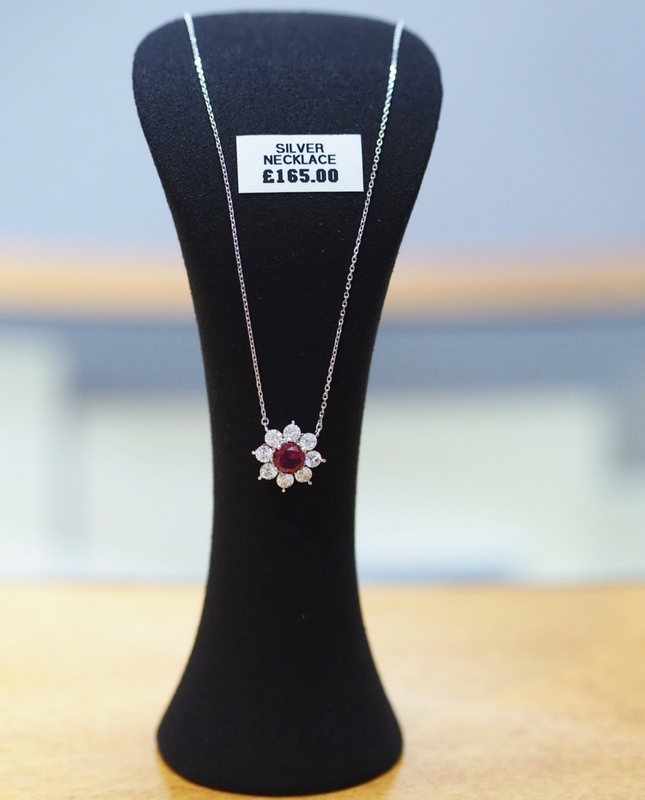 As well as selling a vast range of jewellery, they also offer jewellery valuations and repairs. If you would like to enter their Instagram giveaway for the chance to win, simply visit their store, have a photo taken with their frame and upload it to your Instagram with the hashtag #FrameofFame, making sure to tag Forum Jewellers (@forumjewellers_official). I was gifted a pair of earrings as a thank you for coming in to the store and sharing the give-away on social media, however I have not been paid for this post and all words and images are my own.